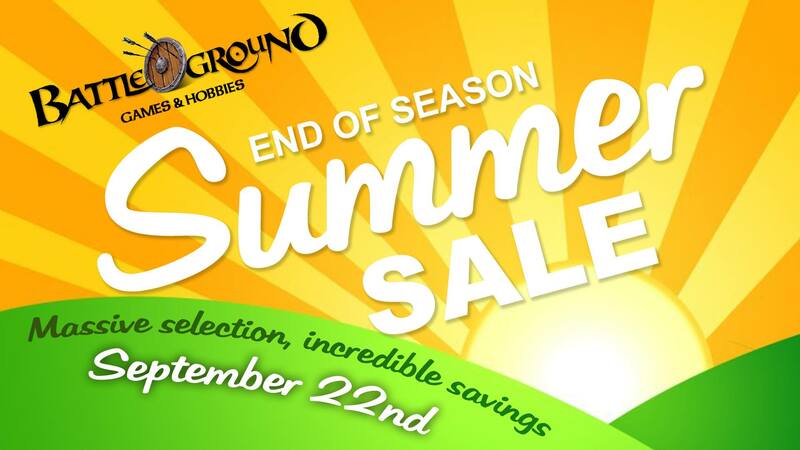 Come down for massive savings on tons of stock at our End of Summer Sale, September 22nd in Abington. Over our sixteen years in business, three locations in Massachusetts, and multiple annual conventions, Battleground has accumulated quite an impressive amount of inventory. We’ve decided to put together a sale at our Abington location that our customers can really take advantage of. Leading up to the sale, we’ll be posting pictures throughout the month of September of just a small amount of what you’ll find available for unbelievably low prices. And don’t think that this is just going to be old, dusty games that have been languishing without a home for too long (although those will be available as well at super-low prices)! No, this sale will feature some of the hottest games going that we just happen to be a bit overstocked on. Furthermore, we’ll be pulling some REALLY old stuff out from the vaults in our storage area. Several of these old games and accessories haven’t seen the light of day for many years. Who knows what sort of treasures you’re likely to discover? 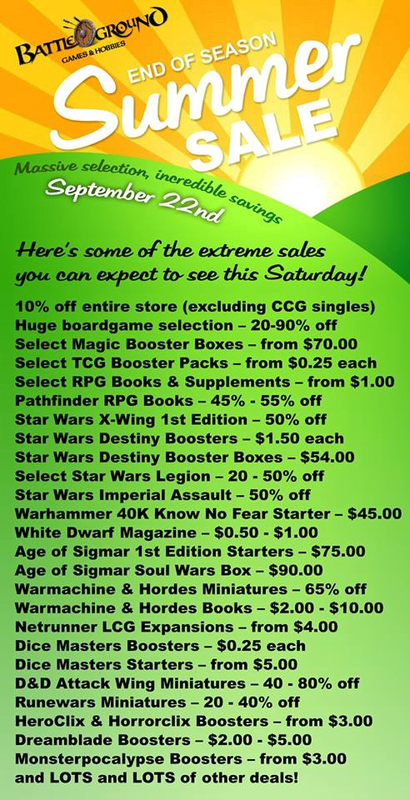 Here’s a list of some of the stuff on sale. Come check it out this Saturday in Abington.